Kate has been watching the Jurassic Park sequels with #5 and had a lot of questions about dinosaurs. She asked if we could go and see them, like the animals in the zoo. 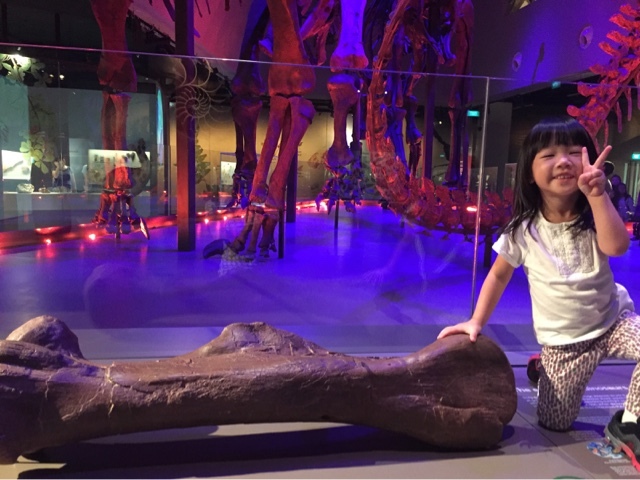 I told her that dinosaurs are extinct and the closest we could get was to look at their bones in the museum and she was really excited. 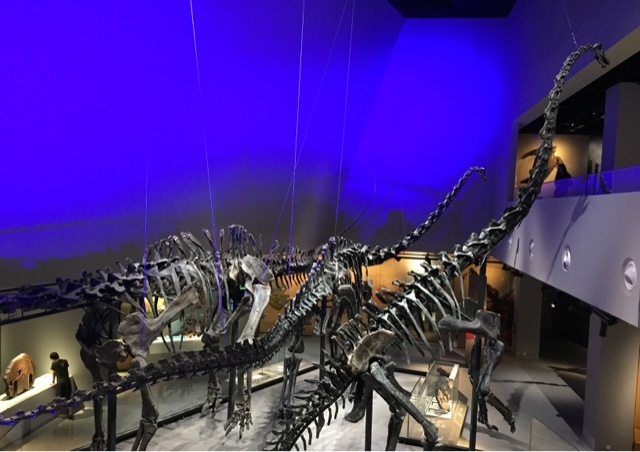 The first thing that greets you when you step into the museum is the majestic sight of three diplodocid sauropod skeletons named Prince, Apollonia and Twinky. The older kids were blown away by the fact that this bone was inside a dinosaur around 67 million years ago! The Edmontosaurus is a type of hadrosaur, a "duck-billed" dinosaur. Somehow I had the impression that this museum was mainly about the dinosaurs. Little did we know that there are actually over a million specimens preserved here at this research centre. Wow. Level 1: BIODIVERSITY - embark on a journey through the diverse groups of life forms on Earth, with a focus on native and Southeast Asian flora and fauna. Although Kate was not afraid of any of the specimens, it could be a little upsetting for some young kids. Kate was intrigued by them and went up close to have a good look. It's like her encyclopaedia had come alive! 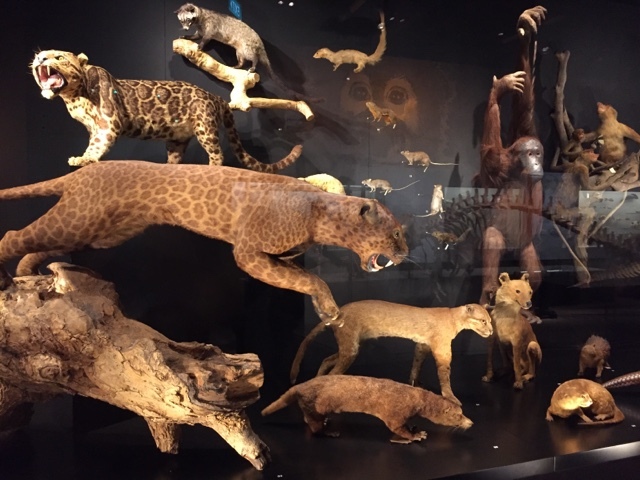 Level 1 is segmented into 15 zones: Life, Plants, Dinosaurs, Fungi, Towards animals, Molluscs, Arthropods, Reptiles, Birds, Tropical rainforest, Marine cycles, Mammals, Amphibians, Fish and Water to Land. 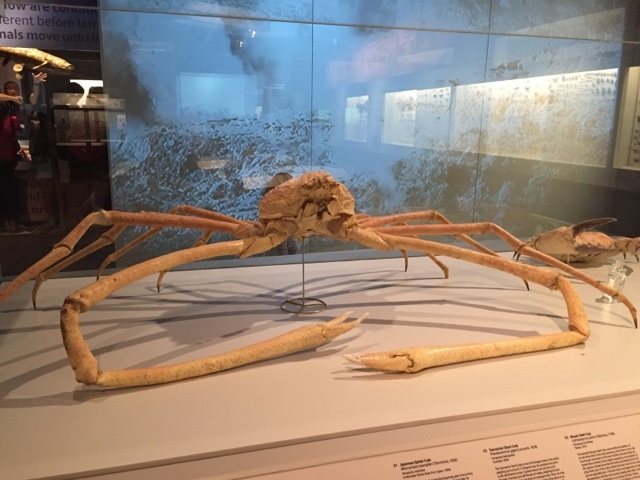 The Japanese Spider Crab has the largest leg span of any living arthropod, capable of reaching 3.8m claw to claw! In spite of its size, it has a gentle disposition and is an omnivore which feeds on animal matter on the sea floor. 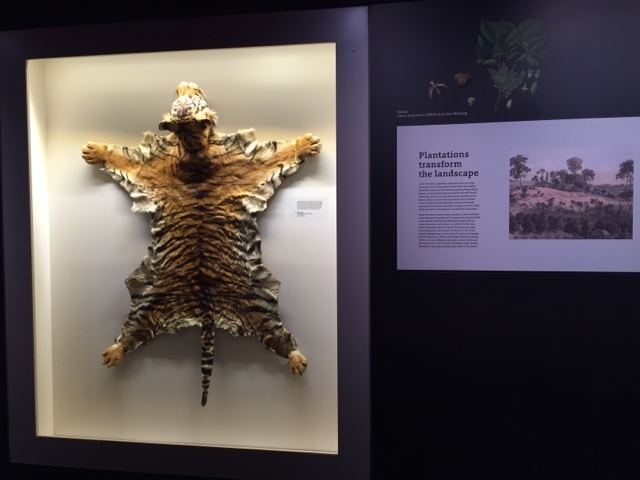 Level 2: Heritage - Singapore's landscape and the study of biodiversity has evolved over the years. 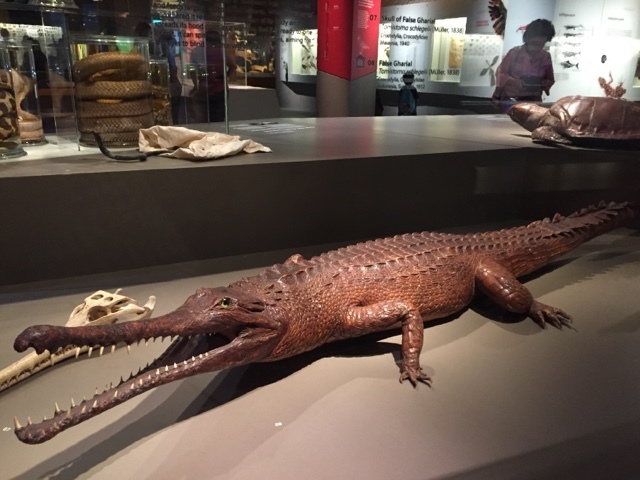 Delve into the nostalgic past and discover the museum's history and Singapore's geology. 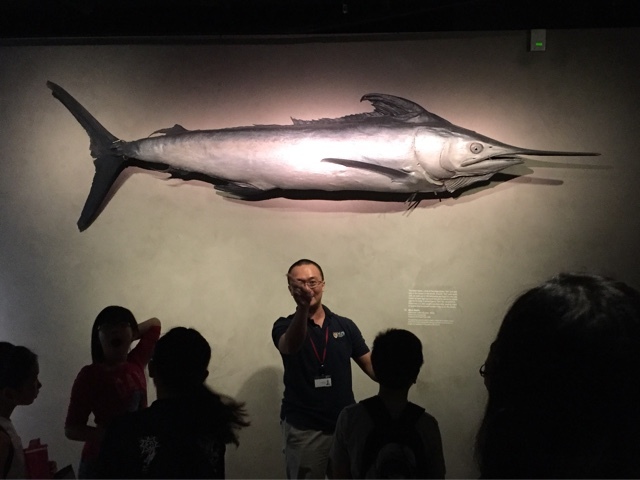 The Black Marlin is one of the largest bony fishes and can reach speeds of 130 kilometres per hour! 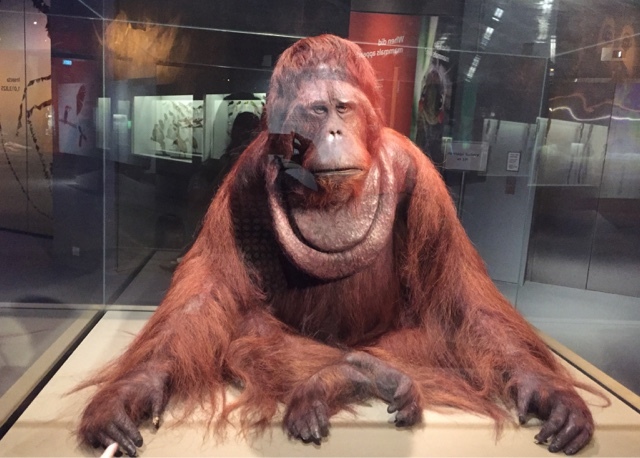 This 3.3m long specimen died after being stranded at East Coast Park in 1986, and weighed 245kg in life! The dinosaur can be seen so closely on Level 2 that Kate was prompted to draw it. She took out her sketch book which is always kept in her bag, and spent almost half an hour with her drawings. 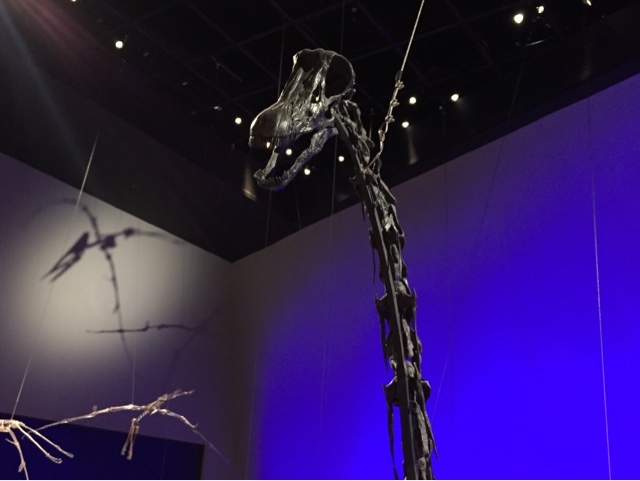 Twinky is about half the size of the other two sauropods, measuring 12m long. It is the first diplodocid dinosaur found with a complete, undisturbed series of vertebrae preserved in a continuous row with even spacing, from the atlas to the beginning of the whiplash tail. It seems to be a juvenile or sub-adult, and lived during the Jurassic period, around 156 to 148 million years ago. There is so much to take in that we will have to come back repeatedly over the years. Lots of information for the older kids to look at, read about and digest. Sane tips: Tickets have to be pre-bought via Sistic, and collected at their authorised agents, for crowd control. However, they do sell left-over tickets at the door on a first-come-first-serve basis. Call +65 6601 3333 to try your luck! 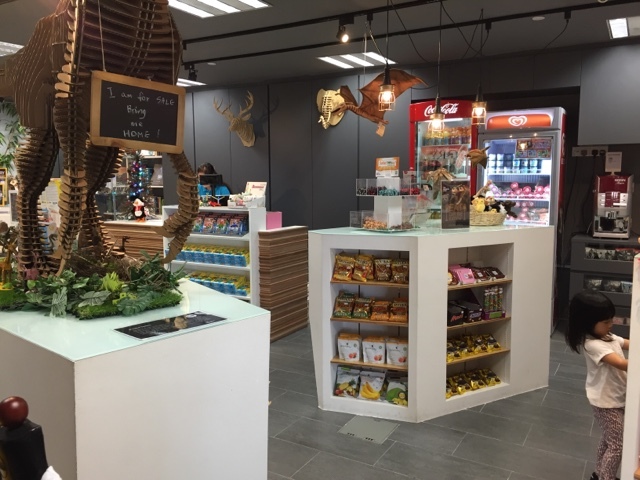 There isn't any food outlets situated here, but the gift shop sells instant cup noodles, a small range of snacks and cold drinks.